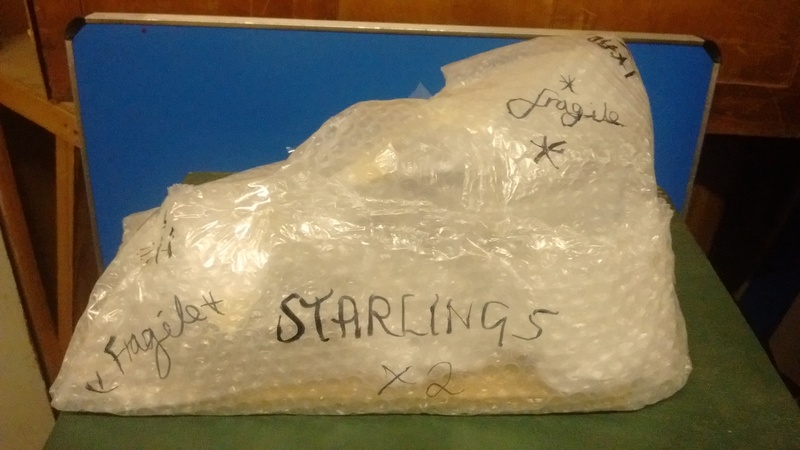 Soon we will be closing our doors to the public and moving our collections into storage while we await the redevelopment of the galleries. 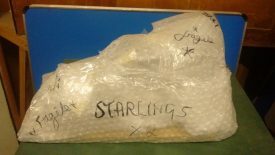 We can’t just shove everything in a box; just like your fine china or favourite ornaments, we have to pack our objects carefully so that they don’t get damaged. 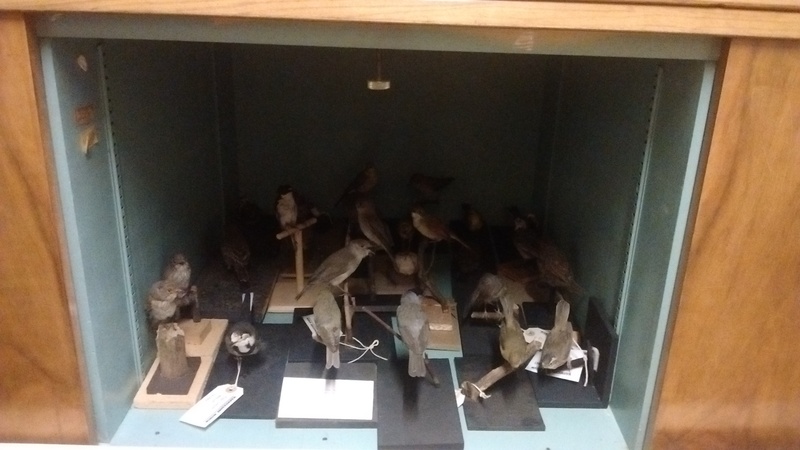 Taxidermy has another added dimension, in that it also has pests that eat it, so we have to put our objects in quarantine before we can return them into our central store. 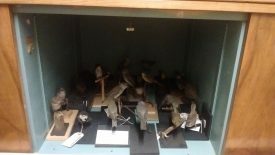 The main pests that eat our taxidermy collection are Clothes Moths, Webbing Moths and Carpet Beetle. It is actually the larvae and caterpillars that do the most damage, so to combat them we pack up each individual object in tissue paper and bubble wrap and then freeze it. We have a chest freezer that goes down to -35°C and we have to place any objects that are prone to being eaten in there for one week. 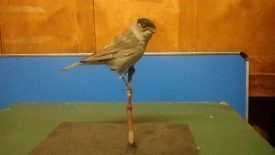 After then, any adults, larvae or eggs will have been destroyed and our taxidermy is safe to be unpacked and put with the rest. They can eat your stuff too! Pests can attack many other objects too. Almost everything containing a natural organic material, like cotton, wool, silk, wood, leather; so these have to be quarantined also. People often get little beasties like this in their homes and there are lots of methods to try and stop our jumpers, carpets and wooden furniture being eaten. Currently cedar wood balls are one of the most popular; they give off a smell which many of these creatures don’t like and aren’t harmful to humans or pets. Unfortunately we can’t use cedar wood for our collection, as over hundreds of years the perfume from the wood might damage our objects, but for your woollens it’s a good alternative to some of the harsher chemicals that are available.